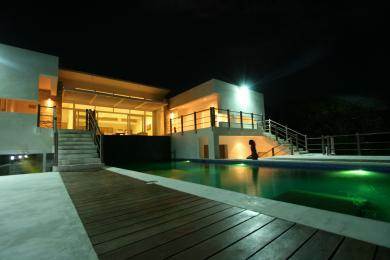 This modern architectural designed 5 bedroom villa has two floors and is located in a private residential quarter between Sosua and Cabarete. It is quit a vision on its own, surrounded with ocean views, coconut palm trees, exotic gardens, tranquil waterfalls, relaxing decks and a gorgeous infinity pool. Build and customize your own villa on any of the available lots, you will create memorable experiences that will last a lifetime. For more information on this property don't hesitate and contact us now.